“How Can Mothers Give Birth To Such Monsters? Suddenly, his mind spun out a series of ideas. He thought of his mentors: Anton Makarenko and Janusz Korczak. Makarenko had transformed would-be delinquents into future lawyers, doctors, architects, builders, teachers. He had written his Pedagogical Poem in three parts after Dante, showing the progression from student hell to student heaven. However, to achieve his aims, he had to make use of corporal punishment, and sheer intimidation. Vasya would have none of that. He would build the pride and confidence of his pupils, but he would do so from trust and love, not from coercion. Korczak had been a hero to Vasya. He had marched with his students to the gas chambers at Treblinka, accompanying them as their teacher and friend to the very end. The “Old Doctor” had placed great emphasis on the health of his students. This was a concept Vasya could embrace, because he believed in beautiful, healthy children. He could not know that on the other side of the globe, in the despised imperialist U.S., another writer, the children’s writer, L. Frank Baum, had said the same thing many years before: ” In all this world there is nothing so beautiful as a happy child.” Vasya would see to it that the children had ample time for exercise and he would expose them to the elements to strengthen their bodies. Vasya had exhausted himself with his thoughts and he fell asleep. However, he never lost his concentrated look and his determination. From dawn until the evening he would work with students, teachers, parents, and other staff, to create his special school in Pavlysh. Despite attacks of angina and weakness, he would persevere, and fight for the dignity of children to the end. When the doctors opened him up at the last, they could not believe he had lived as long as he had, so damaged was his body. 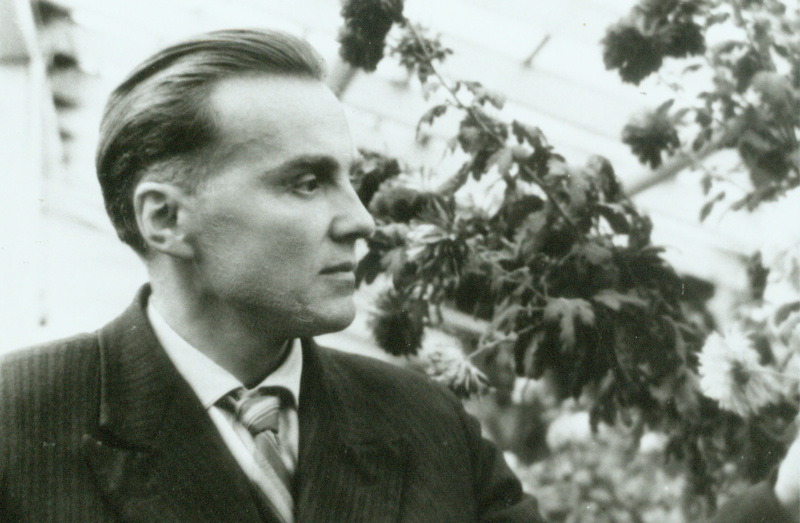 But Vasya had triumphed to become Vasilii Sukhomlinsky, one of the greatest educators of the twentieth century. The Circles Of Sukhomlinsky By Nata Krylova, Part 1. Nata Krylova was the Chief Researcher for the Institute of Pedagogical Innovations in Moscow. The late Oleg Gazman was its Director and inspiration. I became acquainted with Profs. Gazman and Krylova when we participated in The International Educational Reform Symposium, sponsored and hosted by Medford Education International. The IPI had plans to publish a series of volumes highlighting specific problems in education. The series was called New Educational Values. MEI worked jointly with IPI on New Educational Values 2, and my article on obstacles to learning was translated into Russian. At that time(1995-1997), Russian educators were coming to terms with a new focus on the individual in education as opposed to the collective approach of the Soviet Union. 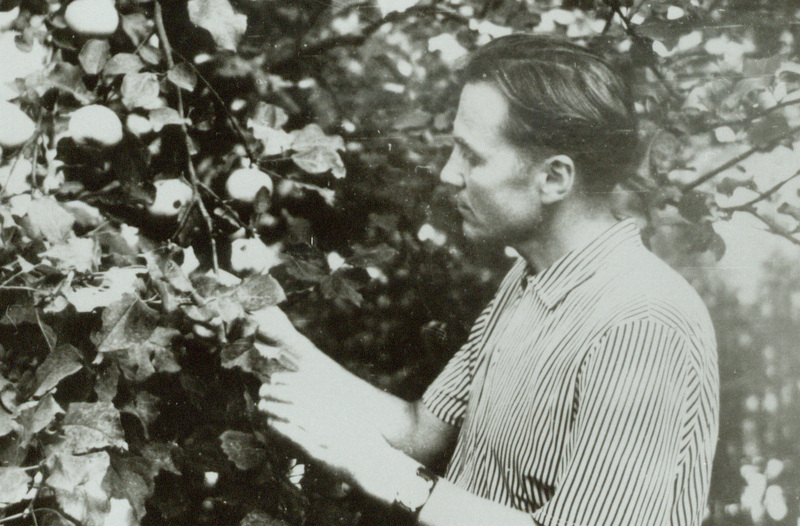 Vasilii Sukhomlinsky was one of those educators that managed to encourage the development of the individual within a collective setting in the Ukraine. He still had many detractors and his life was not an easy one. He wrote over thirty books, but only a few have been translated into English. This is, in part, due to a lingering suspicion of educators that lived under a repressive regime. It was one of the goals of the Symposium to equate educators from around the U.S. with this famous, and highly innovative Ukrainian educator. Papers on Sukhomlinskij were presented and photographs and other archival materials were displayed. Nata contributed the following article, The Circles of Sukhomlinsky, to the MEI newsletter in 1997. What follows is Nata’s article with my commentary in parentheses. It was not my lot to make the acquaintance of Vasilii Sukhomlinsky; he died in 1970 when I was a post-graduate student. I did not know very much about the controversy surrounding his name and “abstract humanism.”(the word “abstract” was taboo in the USSR since it ran counter to the belief that all ideas should be concrete and grasped easily by the masses. The formal term was socialist realism.) I read his I Give my Heart to Children(one of Sukhomlinsky’s last books, which details his experiences as a Director of the School of Joy, a kind of pre-school.) when my son was little and my daughter had just been born. While reading the book, I couldn’t find any reason for the charges that had been made against Sukhomlinsky. (In particular, Boris Likhachev wrote scathing essays, denouncing Sukhomlinsky as a betrayer of socialist principles.) However, criticism of his work continued right up to the Congress of 1988 by which time it had become an anachronism. Now I have read the book again in a new sociocultural context, and asked myself why the critics were indignant. The First Circle: Concrete Life. Is an educator that acts outside of accepted policy or is governed by social relationships at fault? No. Otherwise, Korczak should not have gone to Treblinka to perish with his pupils. Otherwise, Sukhomlinsky shouldn’t have worked as a principal at Pavlysh. But those social contexts are not so simple. The Second Circle: Spirit/Inner World. An educator acts through a network of social relationships, therefore s/he not only introduces the child to concrete society, but the World of Mankind. And the child is a Child for Humanity and a Citizen, not only of a country, but the World. This point of view was not accessible to critics “from pedagogics”, who stopped on the first level, and who couldn’t or didn’t want want to enter the Second Circle. Sukhomlinsky and Korczak took this step. It seems to me that a certain measure of talent, and a certain moral mission emanating from the heart, are only revealed to the educator in the Second Circle, in which there is no place for the formal roles of the teacher and pupil, but where an adult and a child enter into eternal relationships to create a new space of their co-existence. Vasilii Sukhomlinsky examines a tree. 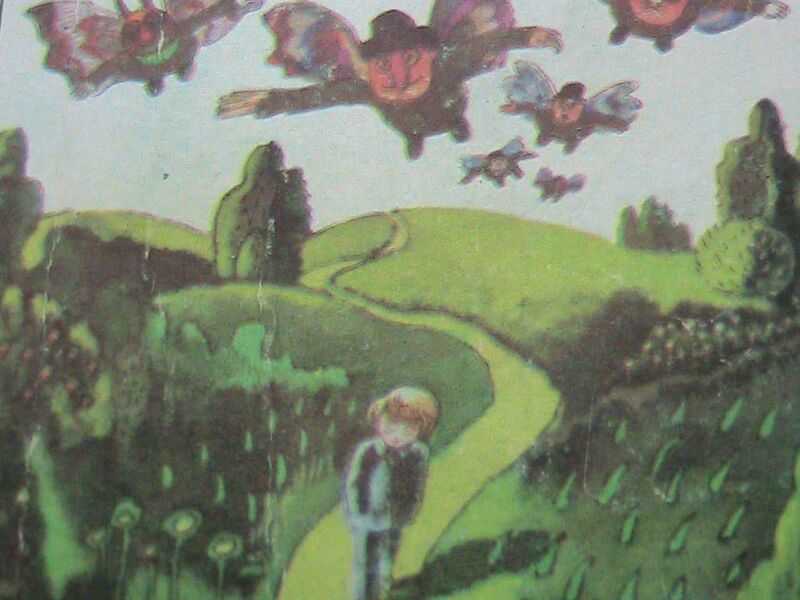 An analysis of of Janusz Korczak’s most famous Polish children’s novels, the King Machush novels, reveals a reversal of the Eden motif so prevalent in much of children’s literature. If it was Eve who tempted Adam, and caused the subsequent banishment from the garden, it is the boy, Fellek, who tempts Machush into a close friendship while eating cherries in the king’s garden, leading to Machush’s exile and eventual destruction. Fellek is the son of a platoon guard, whom Machush envies because of his independent nature and ability to lead. Machush never acknowledges Fellek’s devious nature, lack of desire to truly learn, and immense ego. His trust in his “beloved” Fellek becomes his undoing. It is the Young King’s spy, posing as a reporter for the children’s newspaper, who realizes that Fellek can be an instrument to get rid of Machush. (The Young King is Machush’s greatest enemy, because Machush defeated him in a war.) Machush’s kingdom is forced to surrender to the young king because of Fellek’s betrayal and Machush himself is sent to an uninhabited island. So, the first Machush novel comes to an end. Towards the end of the second novel, Fellek appears again as a threat to Machush’s good will. Machush’s trust in Fellek results in his giving Fellek a factory job. When Fellek’s laziness and lack of initiative reveal themselves in an altercation, it is Machush who is killed in the factory accident. Thus ends the second and last Machush volume. Although Machush grows to respect adults, children younger than himself and older children, he fails to see the danger posed by his “beloved” Fellek. Illustration of Machush’s thoughts by Waldemar Andrzejewski from King Machush on an Uninhabited Island.